Insurance companies encourage their clients to pay attention to exercise by providing wearable devices and promising rewards. Rapidly evolving technology – and the societal changes it brings – carries a number of implications for the insurance industry. New business models, as evident in Uber and Airbnb, are evolving, autonomous cars take to the road, and cyber security risks are proliferating. While challenges continue to crop up alongside technology advancements, they are also sources of valuable tools for day-to-day business operations and can help to identify and track trends, say Doug Grant and Patrick Vice, partners at Insurance-Canada.ca Inc., a Toronto-based organization that provides consumers and insurance professionals with independent information about technology and the business of insurance in Canada. "Insurance companies can use technology to better analyze risks, which has enabled the industry to become more overtly involved in risk management," says Grant. "This is an area where technology opens up a lot of possibilities." Car insurance, for example, can draw on data from devices or smartphones that track and record a driver's actions. "Several companies consider information that enables them to provide feedback for drivers to help them improve their skills, thereby reducing the potential for accidents," says Grant. "Rather than renewing an insurance policy once a year, an insurance provider might communicate with drivers more regularly to report on their performance and how it compares to that of their peers." With increased engagement comes the opportunity for the insurance company to help a client better manage risks to ultimately reduce their costs of insurance, he adds. Similar trends can be observed in the life and health insurance industry, says Grant. 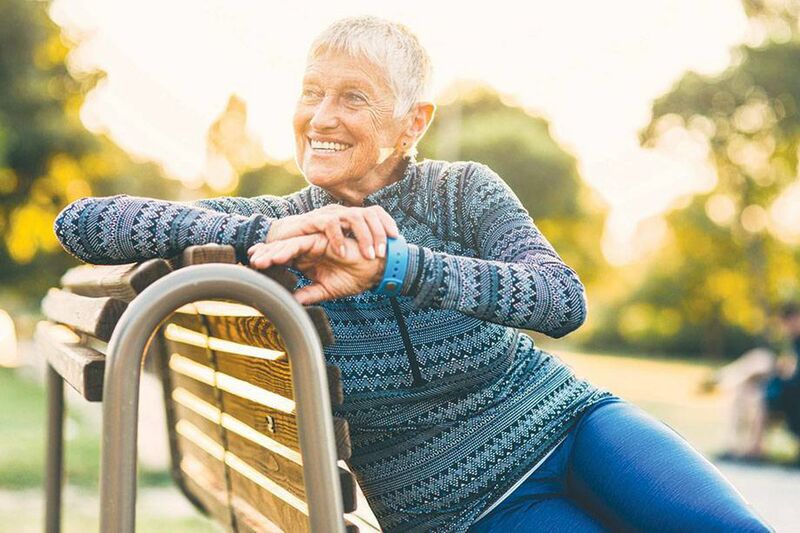 With an increasingly sedentary lifestyle posing serious health risks, insurance companies integrate wellness programs that can help their clients pay attention to healthy habits like exercise, he explains. "The Manulife Vitality program, for example, uses wearable devices that track healthy activities, which earn you rewards that can translate to a reduction in your insurance premium." In home insurance, risk management can take the form of installing water detection technology. "These devices alert the owner or resident when there is a leak, or they automatically turn off the water supply," says Grant. "Since this reduces the probability of a water damage claim, it benefits both the homeowner and the insurance company, and ultimately translates to lower premiums." Vice adds that a number of the larger insurance companies are very serious about tracking climate change. "They are looking at mitigation measures and lobby municipalities or other government entities to take proactive measures," he says. "This is new – it's not something we would have seen 15 or 20 years ago." Technology and innovation allow insurance providers to respond to changing needs, explains Vice. "Uber drivers, for example, use their cars to go to the store or for family trips, but when they take on Uber passengers, they present a completely different risk profile." Insurance companies responded quickly by developing algorithms that track when the car is used for different purposes with the associated risk profiles and premiums, he adds, thus providing safety to the drivers and their passengers, and coverage in case of an accident. A similar mechanism is available for Airbnb hosts, who can adapt their insurance coverage when they have guests, says Grant. "You can switch between personal insurance and short-term rental insurance, as long as the usage is recorded in the insurer-provided app function." The insurance industry is responding to new needs – and evolving challenges – by leveraging technology and becoming more innovative, says Grant. "We see a lot of new products as well as new ways of interacting with customers." Produced by Randall Anthony Communications for Globe Content Studio. The Globe's editorial department was not involved in its creation.